We provide a quality and efficient service on a wide range of bicycles at the most competitive prices in the Midlands with no job being too big or too small. Over 30 years in business, we have the necessary experience and knowledge to make sure your bicycle is running well, be it a racing, mountain, child's or tandem bike. As cyclists ourselves we understand the frustration when something stops working on your bike just when you need it most. Whether you use your bike for commuting or you need it for that all important race we will do our best to get you back up and running as soon as possible. We carry out work on all brands, not just the ones we stock and along with servicing we will repair any bike regardless of make or model or where it was purchased. We fit parts bought online and can assemble bikes bought on the internet too. Our workshops are open from 9.00am - 5.30pm Monday to Friday and walk in jobs are welcome. We usually book in bikes on a ‘first come, first served’ basis, with a turn-around time of between 1-2 days, depending on how busy we are (occasionally longer if parts must be ordered in). If we can fit the bike in straight away, minor repairs such as puncture repairs, fitting new tyres, brake pads etc, may be able to be carried out while you wait. It is always advisable to ring ahead if possible and speak with us to ensure we can fit you in straight away. If you require a same day service, we can book you in on a day convenient to you when you contact us in advance. We will ask you to leave the bike with us for a time while we aim to complete your repair by the end of the day (unless any unexpected replacement parts have to be ordered). When you drop your bke into us, our staff will go through any issues you are having with it. We will have a look over the bike and give you an estimate for the repair. If you are happy to go ahead with the work we will take a deposit along with your details and let you know when it should be ready for collection. Our mechanics will always contact you to advise if there is any work which needs doing which is outside the scope of the initial consultation. Please Note: Our workshops can only provide a very limited service on Saturday due to staff restriction and facilities. When you purchase a new bicycle off us, you will be entitled to a free six week after sales service. If you have to travel a distance to get to us, we would recommend ringing in advance to book your bicycle in. Where possible, we will do our best to get it done that day. 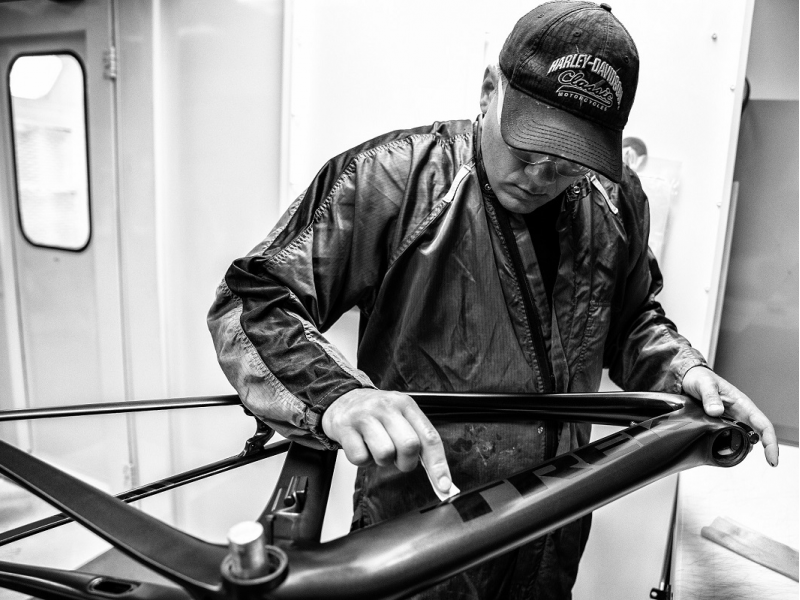 From custom wheels to custom frames such as Trek's Project One, we can build almost any bike you like completely kitted out with exactly what you want. Contact us in store for more details.